Dr. Golden’s research investigates the nexus of trends in global environmental change and human health. He received his BA from Harvard College where he created his own curriculum integrating courses in ecology, medical anthropology and development studies. He then received two graduate degrees from UC Berkeley: an MPH in Epidemiology with a focus in Nutrition, and a PhD in Environmental Science, Policy and Management focusing his studies in wildlife ecology and ecosystem services. Since 1999, Dr. Golden has been conducting environmental and public health research in Madagascar where he created a local research organization called MAHERY (Madagascar Health and Environmental Research). In the local language, “mahery” means strength and this organization has been the sole research organization operating in Madagascar’s largest remaining tract of rainforest. This group supports 20 field staff and he has trained nearly 25 Malagasy university students in field research methods. Following his PhD, Dr. Golden began a post-doctoral fellowship at the Harvard University Center for the Environment where he led a study investigating the role of terrestrial wildlife consumption in protecting food security and human nutrition. Since then, he became a Research Scientist in the Dept. of Environmental Health at the Harvard School of Public Health and was the former Director of HEAL (Health & Ecosystems: Analysis of Linkages)- a multi-institution consortium dedicated to producing empirical linkages between environmental change and human health. Over the past four years, he has served as PI or lead investigator on several research efforts: 1) the investigation of terrestrial wildlife declines in Madagascar on food security and human nutrition; 2) the investigation of marine fishery collapses in Madagascar (and across the globe) on food security and human nutrition; and 3) intervention analyses to determine solutions to wildlife harvest unsustainability and local health crises. Over the past few years, Dr. Golden has received several honors. 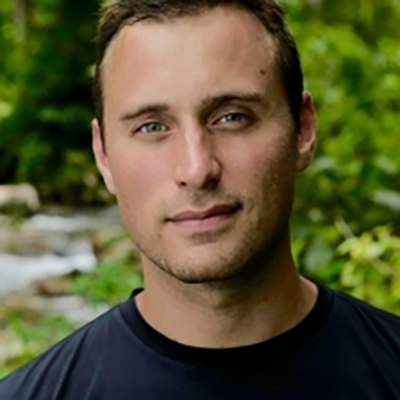 In 2014, he was named one of 14 National Geographic Emerging Explorers, an award that recognizes “uniquely gifted and inspiring young adventurers and scientists—explorers who are already making a difference early in their careers.” He is one of 12 members on the CBD/WHO joint task force who was asked to synthesize connections between biodiversity and human health. And, he is one of 40 members of the Intergovernmental Platform on Biodiversity and Ecosystem Services’ (IPBES) working group that was dedicated to creating the methodological framework by which all future ecosystem services assessments should follow.